How do I make sure my child’s toys are safe? Many children with lead poisoning may not look, act, or feel sick. The only way to know if your child has lead poisoning is by asking your provider for a blood lead test. Ask your healthcare provider. He or she can help you and can recommend treatment if your child has been exposed. At Home: In Nevada, homes built before 1978 may have lead paint or tiles on the inside and outside of the building. When these paints or tiles age and peel or crack, it creates lead dust. Home repairs and renovations can create lead dust, too. Toddlers who are learning to crawl may ingest or breathe it in when they put their hands or toys into their mouths. Work and Hobbies: Family members may expose children to lead dust or bring it into the home if they work with metal, paint, pigments, or glazes that contain lead. Everyday products: Several consumer products, including health remedies, foods, jewelry, toys, and other items have been found to contain lead. The more often they are used, the greater the health risk. Thanks to scientific research, we know a lot more about lead than we used to. However, there are still many myths about lead poisoning. Below are the most common myths that prevent children from being properly protected from lead. Myth – Children have to eat paint chips or chew on painted surfaces to get lead poisoning. Fact – While dust from lead paint is a common way of getting lead poisoning, it is not the only way. Lead dust forms from old paint and can cover surfaces and objects. Children swallow this dust when they put their hands or toys in their mouths, which is normal behavior for young children. There are many imported products and everyday products that are made containing lead. Children can get lead poisoning from playing with or putting things like keys. imported toys, candies, cosmetics, and folk remedies in their mouths. Fact – Research shows that even low levels of exposure can cause long-term health problems in children. Myth – Only children in other cities or in other states are in danger of getting lead poisoning. 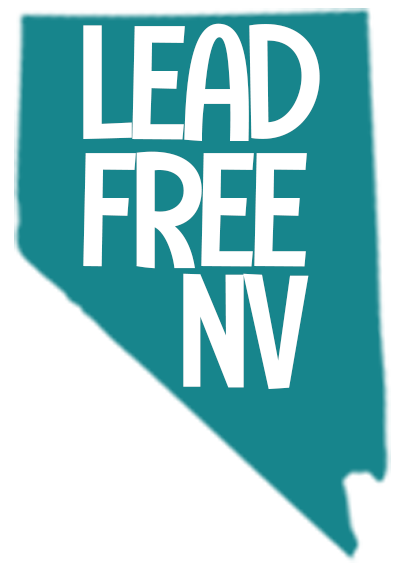 Lead is not a problem in Nevada. Fact – Lead poisoning crosses all racial, geographic, and economic lines. Lead paint can be in any home built before 1978 and there is a lot of older housing across Nevada. Many common items can contain lead. Myth – A child who seems healthy, active, and shows no symptoms is not lead poisoned. Fact – Children who seem perfectly normal and healthy may still be lead poisoned. Damage to the brain and nervous system can be subtle. The effects may not be noticed until the child enters school. Myth – Lead poisoning is not a real problem. Many people grew up in homes with lead paint and are perfectly healthy. Fact – Many people who have grown up in homes with lead paint may have experienced subtle damage to the brain and nervous system that is not outwardly noticeable. There are no symptoms of moderate lead poisoning, so no one would know they were in danger. 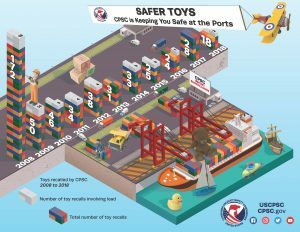 Toy Recall Research and Statistics: Learn about how products are recalled and the likelihood of product recalls to help guide your purchasing habits.